" My philosophy is advancement through Positive Reinforcement, promote and instill core family values. Through our commitment to personal attention and our promise of providing the Best Martial Arts Instruction which is based on a solid learning structure our goal is to prepare our students to become winners in life. At U.S. World Class Taekwondo Bethany Martial Arts / Black Belt Academy . we make it our mission is to empower our students with high moral standards and discipline. Our goal is to create Leaders, Champions in Life, one black belt at a time." We have opened our doors during the summer of 2003 at the heart of the Bethany Neighborhood, now a true educational landmark within the west side of Portland Metro, U.S. World Class Taekwondo West Portland serves the Community of Beaverton, Cedar Mill, Forest Heights, Hillsboro, and Portland in the 97229 and 97006 zip code. Back in 2003, we started off with a very small studio that was just a little over a thousand square feet. With passion and dedication, we made it possible. Within the past 16 years we have grown into what we are today with 2 well established Locations serving West Portland Metro Area in Beaverton on Baseline, Bethany Village and new projects opening up soon in Hillsboro / Cornelius and Forest Heights / Barnes Rd. US World Class Taekwondo Association was established in 1988 by Chief Grand Master Jay K. Shin and is one of the largest groups of professional Martial Artists / Full Time Korean Karate (some might say) Schools in the United States, providing quality instruction to students worldwide. Not all Martial Arts Academies are created Equal. 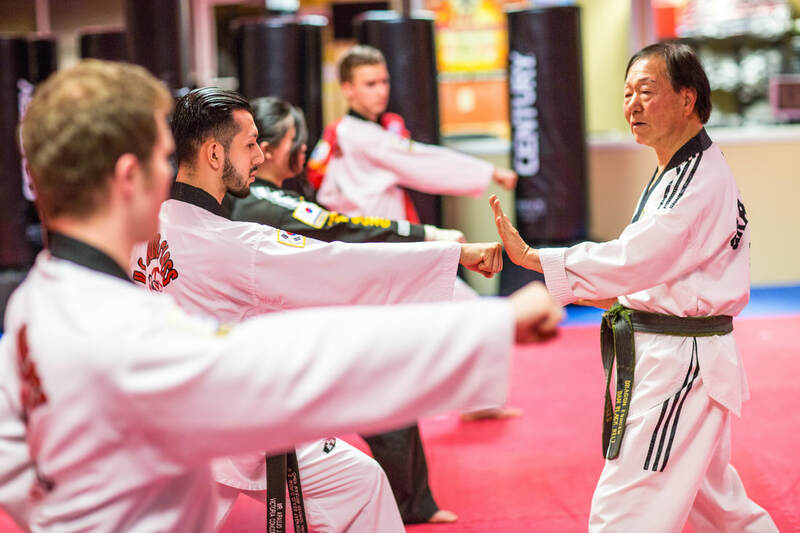 Few Traditional Taekwondo Schools in the country have the unique combination of Martial Arts, Education and Leadership that you will find with our programs. A well established Martial Arts Educational Institution, recognized as one of the best in the country. We have developed and built a Martial Arts Academy with focus on Character Building, not only teaching Self-Defense, Kids Karate or Taekwondo but giving our students the necessary tools to succeed in life. Students are motivated and offered a well structured program. Online Text Book available. Classes are very upbeat with a flare of fun...yet very disciplined. We use the best and the latest in Interactive Media such as Projectors and LCD Screens to make learning FUN. For our High Performance Team we provide a scientific approach to training. Our Instructors are Certified Full-Time Taekwondo Professionals with many years of Experience. Headed by Chief Master George Hristescu, Executive Director of U.S. World Class Taekwondo Bethany, Instructors are personally selected not only for their Martial Arts Skills but for their ability to effectively communicate the Curriculum and the Knowledge to students of all ages. Nothing beats having a great teacher !!! - and we have the best. Our academy place a high priority on protecting the safety of its members. We make sure that everyone on duty is at the top of their game. 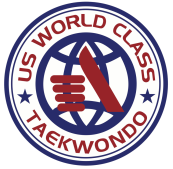 U.S. World Class Taekwondo West Portland offers more than the traditional martial arts lessons. For a few hand picked students of U.S. World Class Taekwondo Bethany, that are talented and committed to achieving their Taekwondo Olympic Dream, we offer exciting opportunities with our W1 Competition Team in both Olympic Sparring (Kyorugy) and Forms (Poomsae). These Elite Competition Team students have the opportunity to travel to the USA Taekwondo National Championships and other International Events. Finally, it takes the right people to create an amazing community. The environment of our school attracts people who are open-minded, enjoy socializing with one another, and like to have fun. The parents whose kids train with us are caring and supportive. The adults who train with us are kind and fun. It's like a family here, and we'd love for you to become a part of it. Feeling like you belong... Right away. Often after just one class people tell us how they feel like they've known everyone for years. That's because we place a big emphasis on creating not just a great martial arts environment – but a family environment. You'll feel like part of our family in no time. You'll know you're among people who really care about you and your success.